Today we are at the dawn of a technological revolution that is of greater magnitude compared to Internet and mobile communication technologies. With technologies like artificial intelligence and big data evolving quickly and the exponential growth of these two technologies coming together, they are growing even faster. Data is considered the blood of artificial intelligence, as AI systems learn from data in order to accomplish their function. Unfortunately, organizations struggle to integrate data from multiple sources to combine into a meaningful one and hence they are in need of professionals with data analytics degrees, who are able to process and analyze these large data sets to discover meaningful patterns, trends, and associations to facilitate business decisions. Big data is employed in AI as per a new strategy and it proves to be a complete game changer for organizations. Organizations now combine the agility of big data processes with artificial intelligence capabilities to accelerate the delivery of business value. The most vital development is the convergence of big data with AI, which is shaping the future of how organizations drive business value from their data and analytics capabilities. When machines develop the ability to perform complex tasks like recognizing audio-video and are able to make decisions that usually require human intelligence, they are said to possess Artificial Intelligence. The emergence of robotics has introduced an autonomy, which requires no human intervention in the implementation of the decisions. Thus, when this technology is paired with Big Data, it rises to an unforeseen intensity that is hard to articulate. Recently the outcome of Big Data and AI mergers can be understood with an example of the retail giant Walmart. Big data analysis at Walmart enables automated business decisions. Walmart has around 245 million customers, who either shop by visiting any one of their 10,900 stores or shop online. Thus, every hour the company collects 2.5 petabytes of unstructured data from one million customers. Walmart uses this data to analyze what customers are buying and which of their products are trending on Twitter, weather implications on sale and similar other things. Finally, AI systems process the big data to make self-governing decisions like the number of units of their products that need to be stocked in each of their stores and automatically place orders with suppliers based on the demand data. This shows that AI is all about analyzing real-world data and allows the computer to learn a few things from that data. 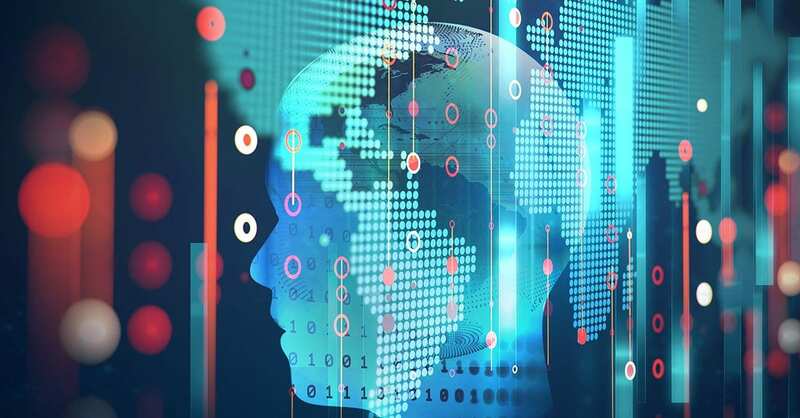 Data scientists are aware of the power of artificial intelligence and machine learning and hence they are looking out for ways to incorporate it using big data. When big data is clubbed with AI and machine learning its power is doubled and it significantly transforms our future. AI, and Big Data along with machine learning are engines of data and analytics services of the future and the use of big data with AI will make machines smarter allowing them to work in an efficient manner. Artificial intelligence and Big Data Analytics are two of the highly promising technology paths, which businesses can take in the future to make intelligent decisions based on their past knowledge. However, understanding the convergence and interdependence of these technologies is where the real success lies. Today, we have just begun to explore the possibilities of a big data-driven AI-powered world!